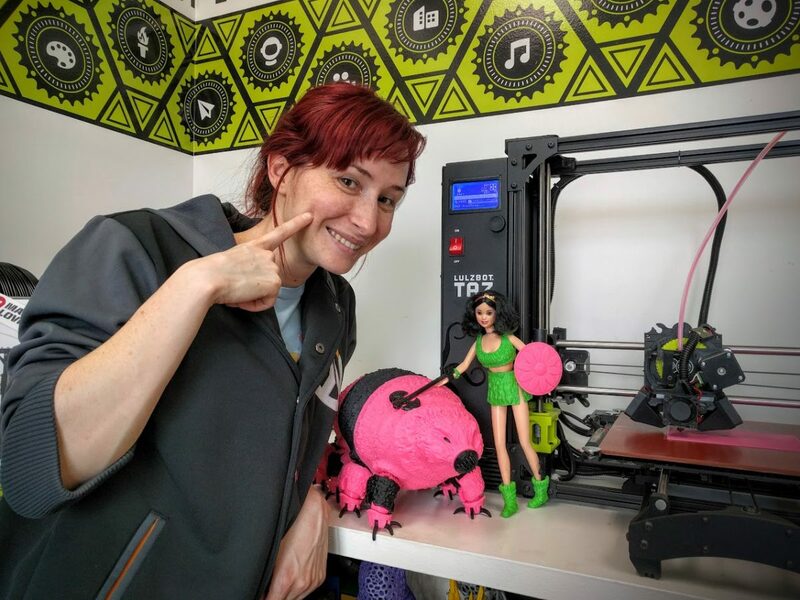 Join us at NoCo Mini Maker Faire this weekend! 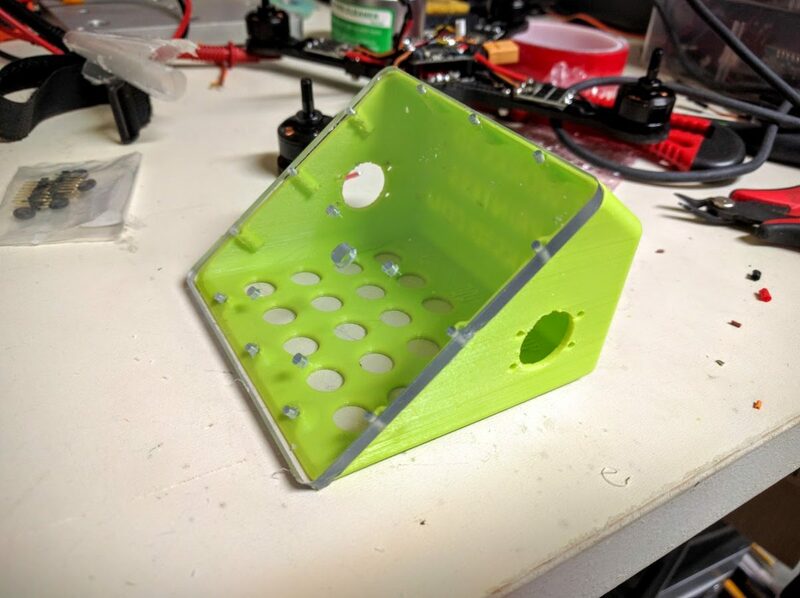 Come see us at the Noco Mini Maker Faire, where we’ll be printing in the Loveland CreatorSpace booth. With plenty of activities and cool things to see, come join us at the “Greatest Show and Tell on Earth”. Bindi Smalls poses with Barbie’s Battle Tardigrade! Nerdy Derby! Your kids can build and race their own Nerdy Derby car at the Loveland CreatorSpace booth. 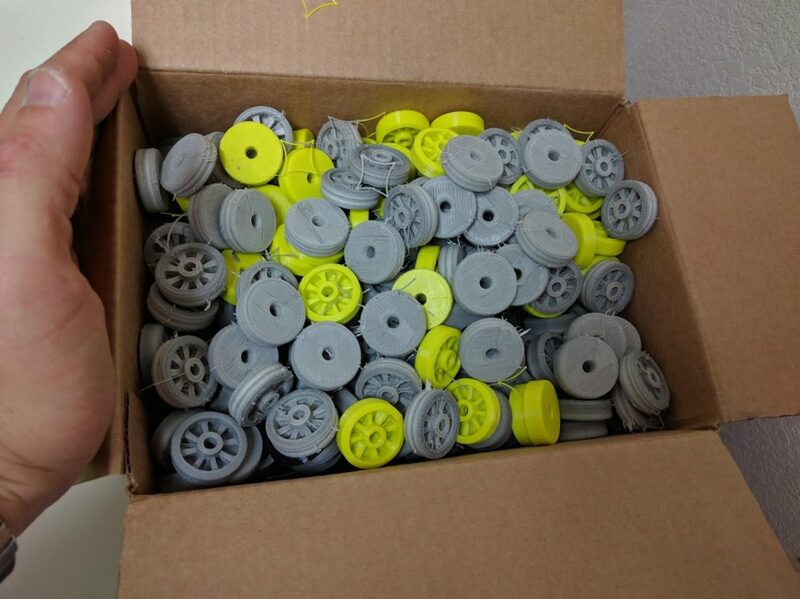 We’ve been busy printing wheels for the cars. 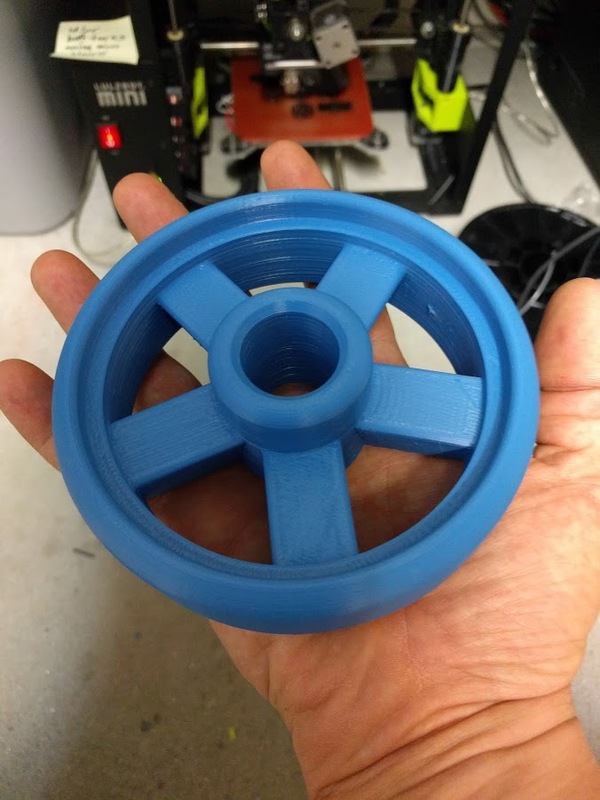 Jamie modeled some new Nerdy Derby wheels, and liked this one so much, he printed a big one!